Will a monochrome version of the M9 be unveiled soon? Rumours are hotting up that Leica will be announcing a new set of products tomorrow. Among those appears to be a monochrome edition of the Leica M9 - the world's smallest full-frame interchangeable lens camera. The Leica M9-M is said to share the same specifications as the "main" M9, but features a black and white sensor. Platinum Equity, the purchasers of the Kodak sensor division are thought to be responsible for the sensor. 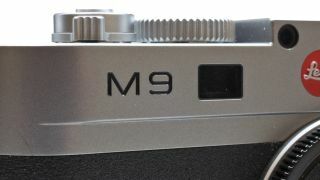 It's been rumoured that the M9-M is a precursor to the M10 announcement, which is thought likely to take place at Photokina in September. As you'd expect from Leica, the camera isn't likely to be cheap - in fact it's thought it will be more expensive than the standard M9 version. The second camera expected tomorrow is the Leica X2, the company's premium compact line. It's thought to have a 16 or 18 million pixel APS-C sensor and fitted with a Summilux 35mm f/1.4 lens. Other rumoured specs include an optional electronic viewfinder, improvements to the AF system and a better LCD screen. It is also expected to retail for more than the X1. Finally, a new 50mm f/2 M lens is also anticipated to arrive tomorrow. Stay tuned tomorrow to see if these products become a reality.